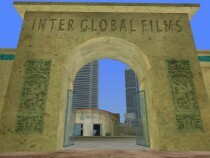 Undertaking new business ventures is vital to your success in Vice City. 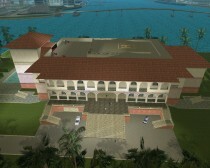 After completion of the Vercetti mission Shakedown, you will be notified that you can now purchase a number of "asset" properties (as opposed to safe houses) around the city. 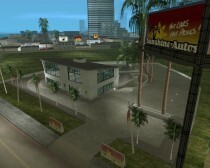 Aside from their name, these differ from the properties purchasable from the game's beginning in that a string of missions is associated with each asset. 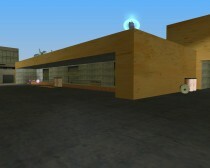 Completion of this mission string will lead to the business generating a daily sum of money, collectable via a spinning icon outside each business. 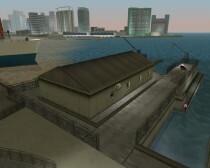 This development places a much larger emphasis on establishing and maintaining a high bank balance than Vice City's predecessor, GTAIII; and is important as owning and completing assets is a prerequisite to unlocking the final two missions in the Vice City story. For more information on the specific prerequisites to reaching the penultimate mission, see this detailed overview. Each business and its associated mission string is outlined below. Sunshine Autos will begin generating a daily income from the completion of a single car list - at this stage the asset is considered "complete". The sum generated will increase with each consecutive list completed. Cash jumps in ascending order are as follows: $1,500, $4,000, $6,500, $9,000. 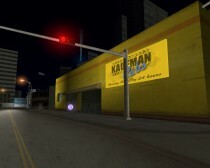 In addition, the completion of each list will also yield a reward of a vehicle, which will spawn within the showroom. List one's vehicle reward is the Deluxo, list two's is the Sabre Turbo, list three's is the Sand King and list four's is the Hotring Racer. The missions associated with The Boatyard, the Pole Position Club and Cherry Poppers aren't triggered by the typical pink marker. 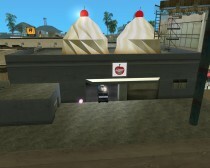 Rather, for Checkpoint Charlie, you must enter either of the boats docked outback, for the Pole Position you must enter the back room and spend a cumulative total of $300 - not necessarily all at once - (which equates to exactly five real-time minutes) on the one-on-one stripper, and for Distribution you must enter the factory's Mr Whoopee van and sell 50 ice creams. Note that with Distribution, you are given no indication of success until you exit the vehicle after selling the necessary quota of ice creams. Aside from the $4,000 daily revenue the Pole Position Club provides, laying out cash on the back room stripper also influences the type of stripper dancing. The first girl will dance when $0 to $100 has been spent, the second when $105 to $200, and the third for anything more than $205.